Evolution of telephone icon set. Icon of smartphone on blue background with shadow. 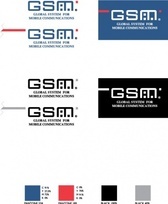 Smartphone template and Mobile phone outline isolated on white background.